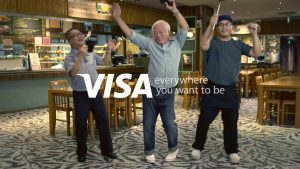 If you’re an avid movie-goer, you would have seen a series of advertisements by Visa which features a cheeky Uncle Sim and his friends. Encouraging consumers to pay, one fun ad at a time. In the advertisements, Uncle Sim shows his friends the convenience of being cashless, zooming past cashiers with a simple tap. Tap in, tap out. Ez. The cashless economy is not new in Singapore. In fact, it got an early start in its 1990s in the form of NETS. After that, we started using EZ-link cards for our transport in 2002 (do you guys feel old yet?). This was the beginnings of being cashless in Singapore. With improvements in wireless communication and banking security, numerous cashless payments solutions have emerged. We have Android Pay, Apple Pay, Samsung Pay, and many other Pays popping up. What does it mean to go fully cashless? Without further ado, let’s consider the pros and cons of a cashless Singapore! Not shown: contempt by everyone else in the cafe while this guy fumbles for cash. Way to go, peer pressure! Just grab, tap, and go: I don’t know about you readers, but I recall times when I held up queues because of my difficulty in getting the right amount of money out. As the ads have compellingly shown, paying wirelessly saves time for yourself and the ones behind you. Increased security: With the integration of biometrics into our phones, payments have become even more secure. Without cash, it becomes harder for a robber to rob you. In the case where your phone is misplace or stolen, no one else can use your phone to pay without your fingerprints or phone PIN. The increase in security can be indirect as well. Violent robberies in Mumbai went down by half after the demonetization scheme, as thieves no longer want banned currency. No more dirty notes: For one thing, scientists found that cash carries a lot of germs. Thousands of types of germs, in fact. Intuitively, that makes sense. Unless your notes came straight from the bank, there’s no telling where that note you’re holding has gone to. In this case, you shouldn’t put the money where your mouth is (literally). Even though most of the types of germs in the microbial jungle are benign, going cashless would eliminate the risk of contracting something. Germaphobes, rejoice! Tapping is great, but don’t end up like our buddy here. Money becomes abstract: Behavioural psychologists caution the usage of cashless payments as they abstract the idea of money. Cash is the most direct indicator of money parting from us. You can observe this phenomenon in casinos. Where physical cash has been abstracted into chips, gamblers have no qualms spending chips whereas spending the same amount in cash might invite pause. Abstracting cash will inadvertently lead to extra spending subconsciously. 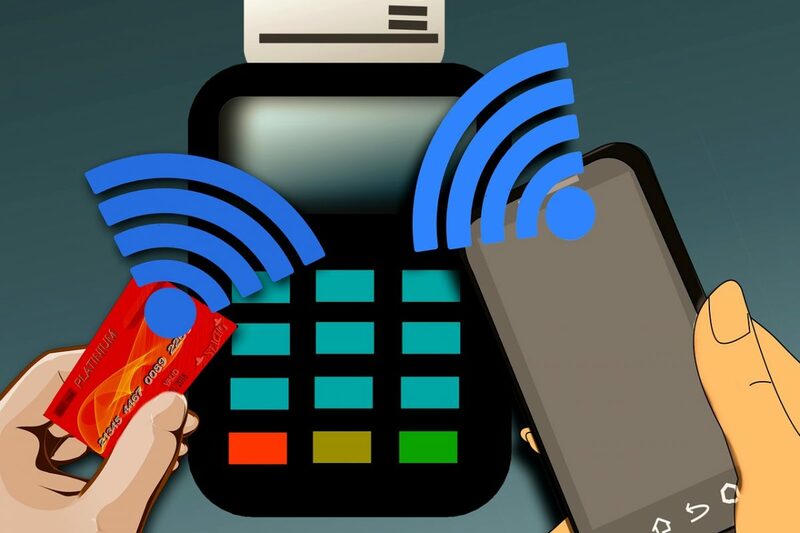 No friction, no reflection: Similar to using credit cards, which comes with its own set of dangers, using cashless methods reduces the friction of payment. A frictionless system is why you checked out your online shopping cart with more items that you planned for. A frictionless system is also why people overshare on Facebook. When processes are seamless, there is little time to process your actions. Having friction gives you time to process the ramifications of your purchases and a chance to change your mind. The need to charge to charge: To lose your phone in the cashless society is the same as losing your wallet – the same precautions that apply now should apply then. Problems arise when you lose your battery power. Imagine whipping out your phone only to realise that your phone is dead and you can’t make any payment. Just carry a fully charged portable charger to avoid that painful situation. Don’t get us wrong, we over here in fundMyLife are not alarmists. In fact, we think that technological advancement is amazing and awesome! However, when the pace of progress is rapid, it would benefit us to slow down and consider the obvious and not-so-obvious ramifications of a cashless Singapore. Given financial institutions’ strong interest to keep us spending, it’d be important to be aware of the pros and cons of going cashless. Ultimately, it’s up to you to keep your spending in check and take charge of your finances. At fundMyLife, we strongly believe in empowering consumers. If you’ve any questions, and you’d like legit financial advice from a pool of curated financial advisers – come find us on our main page at fundMyLife!